In the meeting to review why the Congress lost the recent Himachal Pradesh Assembly elections and to assess the party workers’ performance, state Congress leaders accused each other of back stabbing. CHANDIGARH: In the meeting to review why the Congress lost the recent Himachal Pradesh Assembly elections and to assess the party workers’ performance, state Congress leaders accused each other of backstabbing and alleged EVM tampering. The meeting was chaired by Congress president Rahul Gandhi. Some leaders attributed the loss to EVM tampering and said their opponents knew beforehand that they were winning and had started thanking voters before the results were out. Party leaders also said they lacked resources to contest the elections while the BJP pumped in a lot of money for campaigning. 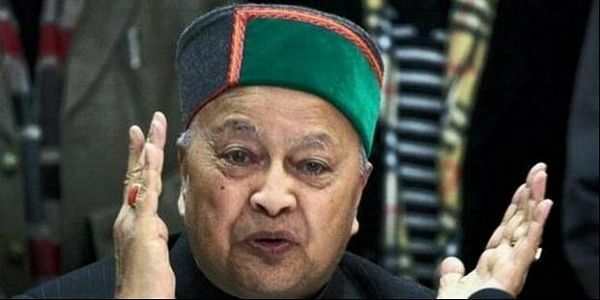 Another allegation was that senior leaders did campaign for candidates, with only former CM Virbhadra Singh hitting the field for hopefuls. On the other hand, senior BJP leaders campaigned in every constituency, with its top leadership from Delhi and elsewhere addressing a number of rallies. Sources said Rahul expressed his displeasure over the party’s performance, and said that they won many seats in Gujarat as leaders were united. He said indiscipline will not be tolerated and leaders and workers who work will be rewarded as the field is open for everyone.